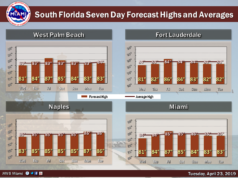 South Florida will be mostly dry on Monday, but changes are on the way. After a few overnight showers, Monday features a mix of sun and clouds with a building east coast breeze. A moderate risk of dangerous rip currents is in place at the Atlantic beaches. 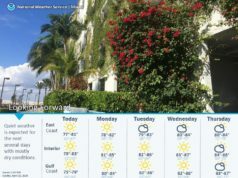 Highs on Monday will be in the mid 80s. 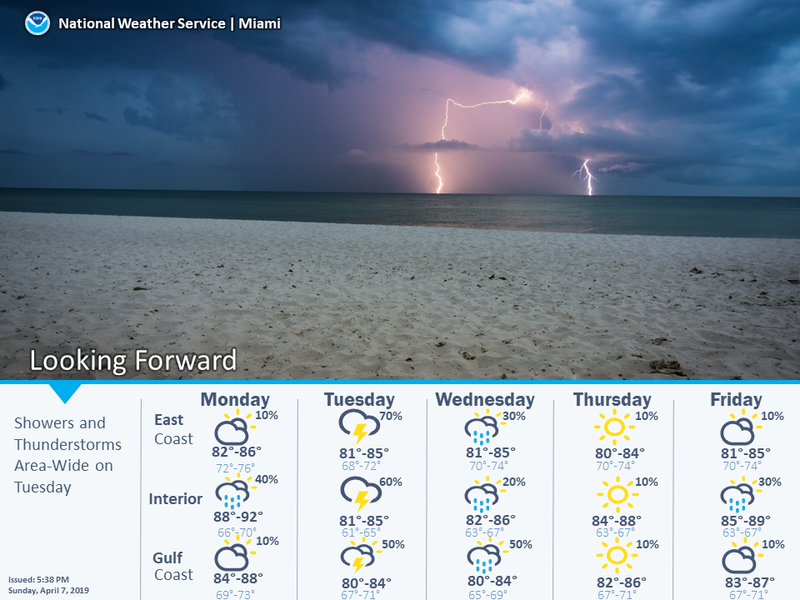 A front approaches on Tuesday, bringing clouds, showers, and maybe a storm. Tuesday’s highs will be mostly in the low 80s. Clouds and some showers will linger on Wednesday. 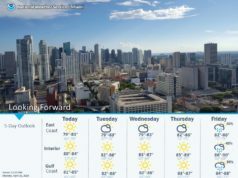 Wednesday’s highs will be in the low 80s. Look for lots of sun and blue skies on Thursday. 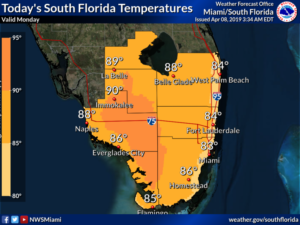 Thursday’s highs will be mostly in the low 80s. Friday will feature good sun, a few clouds, and a stray east coast shower in spots. 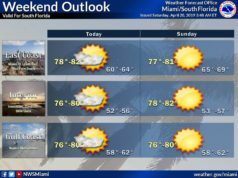 Highs on Friday will be in the mid 80s.